Carrying snowmelt and rainfall from 22,000 square miles of terrain, the Clark Fork River travels 320 miles from Butte to Lake Pend Oreille. It's one of the largest river systems in the Columbia River basin. Since 1985, the Clark Fork Coalition has been dedicated to protecting and restoring the Clark Fork River basin with a record of substantial achievements improving the health of the watershed. Millions of dollars have already been spent removing toxic materials and replacing lost habitat. 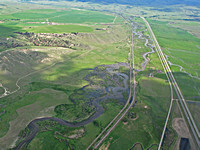 In addition, plans include increasing the amount of water in Clark Fork tributary streams to improve trout breeding areas and boost water quality in the main river. 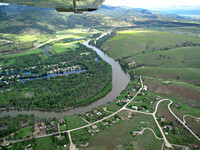 A current plan to invest in cleaning up mining pollution and restoring the top 120 miles of the Upper Clark Fork River corridor is underway and long-range planning is being finalized for a $100 million state Natural Resource Damage Program (NRDP) fund to restore the upper Clark Fork River drainage. The NRDP money comes from the state's court settlement with mining companies that dumped millions of tons of contaminated tailings into Silver Bow and Warm Springs creeks during the 20th century. 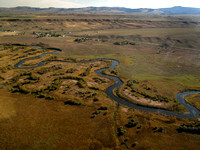 Over the years, those heavy-metal laden soils have flushed into the Clark Fork, killing fish and vegetation along riverbanks and poisoning drinking water aquifers.